NEBOSH (The National Examination Board in Occupational Safety and Health) was formed in 1979 as an independent examining board and awarding body with charitable status. We offer a comprehensive range of globally-recognised, vocationally-related qualifications designed to meet the health, safety, environmental and risk management needs of all places of work in both the private and public sectors. City & Guilds is the UKs leading awarding body, offering more than 500 qualifications across 28 industry sectors, through 8500 approved learning providers in around 100 countries around the world. The Learning and Skills Council exists to make England better skilled and more competitive. We have a single goal: to improve the skills of England’s young people and adults to ensure we have a workforce of world-class standard. The WISE Campaign encourages young women to stick with studying maths and physics and to consider careers in those areas of Science, Engineering and Construction that they have traditionally rejected. WISE operates throughout the UK, with specialist committees in Wales, Northern Ireland and Scotland. Bus, train and tram times, maps and prices as well as route planners for the Greater Manchester area.  Semta is the Sector Skills Council for Science, Engineering and Manufacturing Technologies. A five year project funded by the European Social Fund that has addressed occupational segregation in the Science, Engineering, Construction and Technology (SECT) sectors. Are you 13-19? If so, Connexions Direct can offer you all the information and advice you need to make the decisions and choices in your life. EMA (Education Maintenance Allowance): get up to £30 a week to carry on in learning after 16. National Guide to all apprenticeship opportunities and practical information. Information on engineering and technology careers. The HSE’s job is to prevent death, injury and ill health to those at work and those affected by work activities. Train to Gain is the national skills service that supports employers of all sizes and in all sectors to improve the skills of their employees a route to improving their business performance. Train to Gain is a joint investment – you and the Government working together to boost your business by improving the skills of your individual staff and members. The Environment Agency (Welsh: Asiantaeth yr Amgylchedd) is a non-departmental public body of the Department for Environment, Food and Rural Affairs and an Assembly Government Sponsored Body of the Welsh Assembly Government. The Institution of Engineering and Technology. Working to engineer a better world. Inspiring the next generation of engineers and technicians.Informing the wider engineering community.Influencing government and standards to advance society.